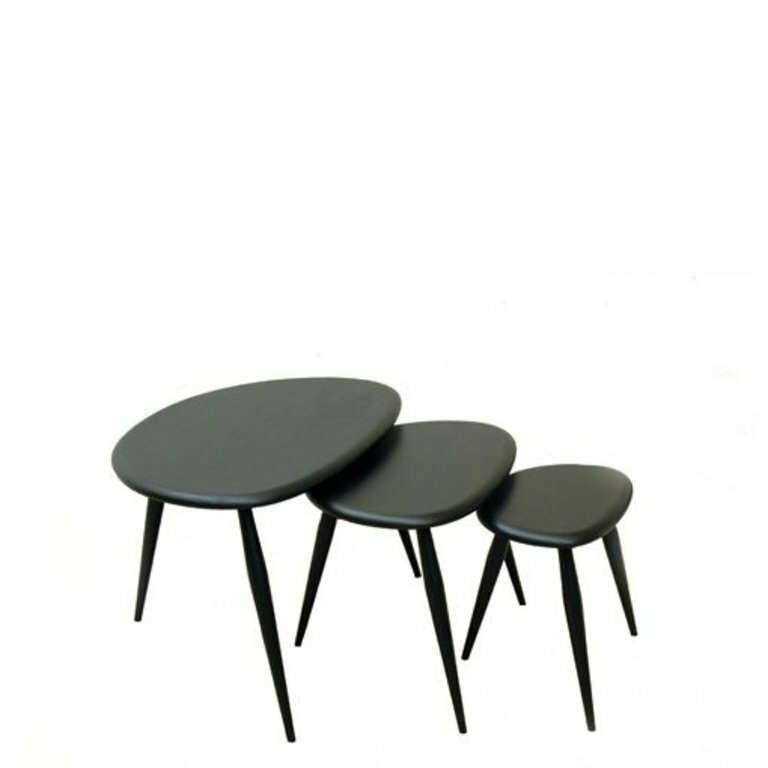 Offering maximum flexibility, this classic piece of furniture comprises three individual tables where the smaller tables slot neatly underneath the large one to save space when not in use. 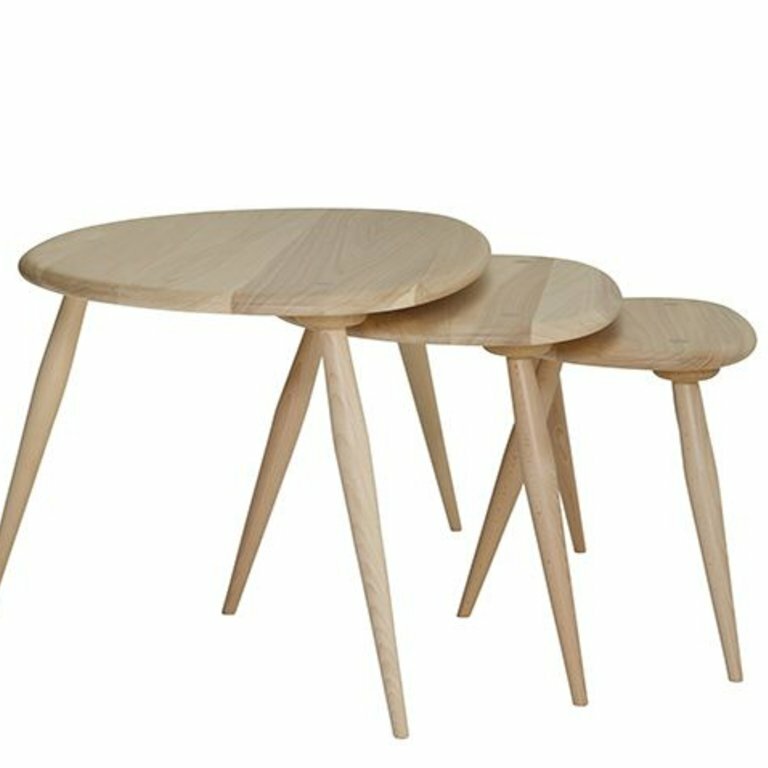 The fluid curves and tapered table legs offer a simple and distinctively Ercol design. 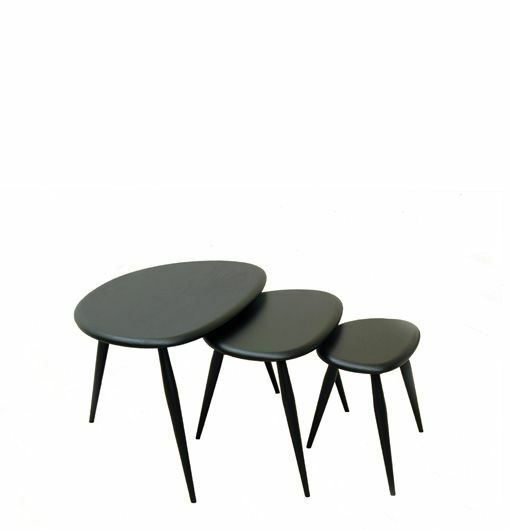 The 354 nest is affectionately known as the “pebble” nest owing to the shape of the table tops. 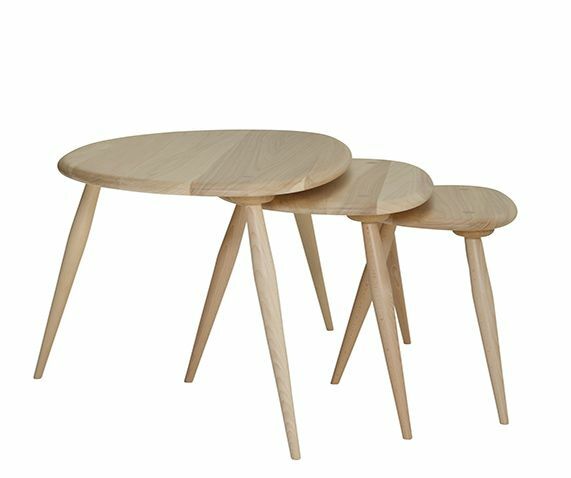 Dimensions W 65cm D 51cm H 40cm W 25.5" D 20" H 15.75"
Elm and Beech in Satin or Mat finish and in white or black finish. 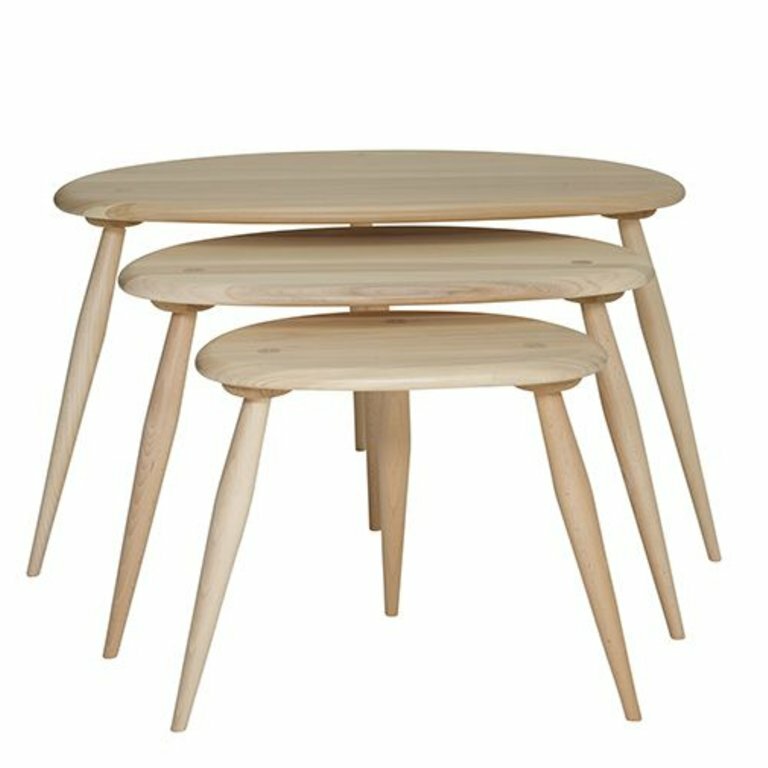 Between 1910 to 1920, The Old Man worked in the design teams for what would later become Parker Knoll and G-Plan, before founding ercol in 1920. He designed the company's products for many years. 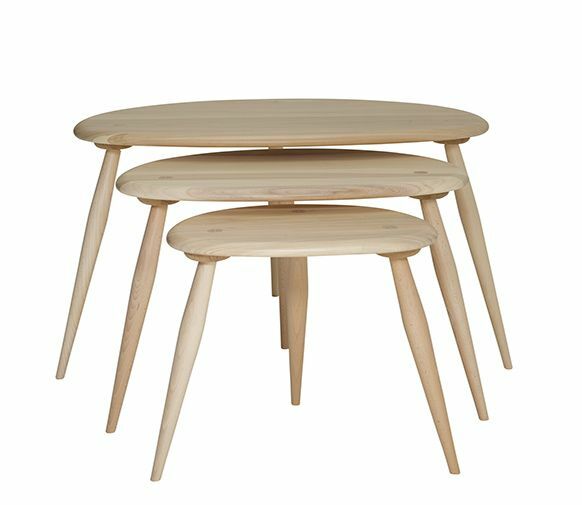 The Windsor range remains one of the most popular ranges over half a century after it was first launched in its original guise, whilst a few years ago ercol reintroduced some of Lucian's classic designs, which now form the ercol Originals.